Koala Adventure is the largest kids playset we currently offer to purchase. 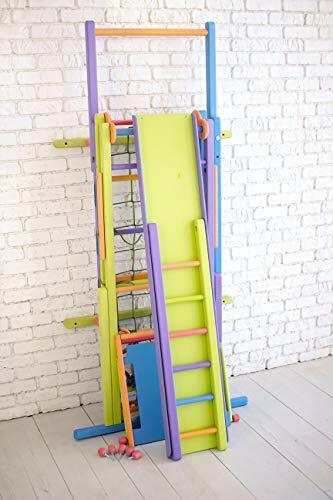 Once assembled it’s securely mounted to the wall inside your house or apartment with 4 screws and provides stability for your children’s climbing and play. Made out of sturdy, splinter-free Ash wood, there’s nothing cheap about any part of the Koala Adventure. 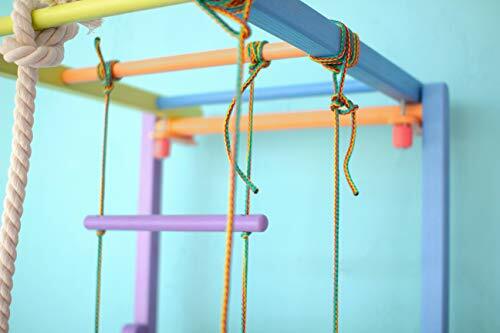 Watch your kids fall in love with the many play features like: Wooden and rope ladders, rope swing, monkey bars, slide, climbing rope and gymnastic ring. Whenever the kids are tired or you need some extra space in the room, just fold the Koala Adventure back together in minutes and store it for a small amount of space inside your home. 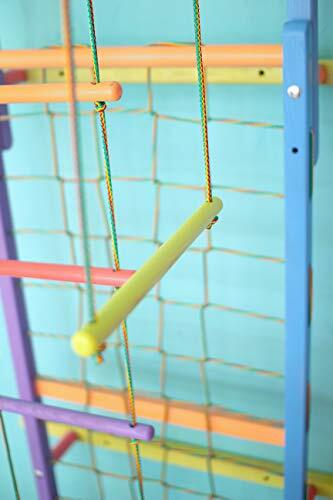 Your children and their friends will cherish the time spent on this wooden playset as they build confidence in themselves through exercise and play. 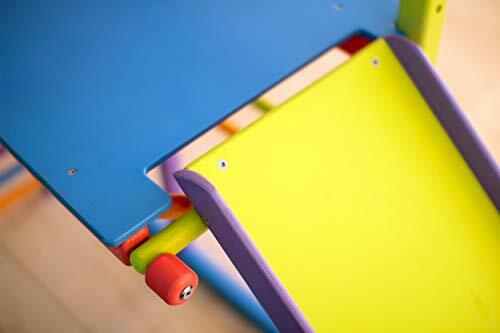 It will keep the kids safe from rain, heat, snow and germs throughout the year. 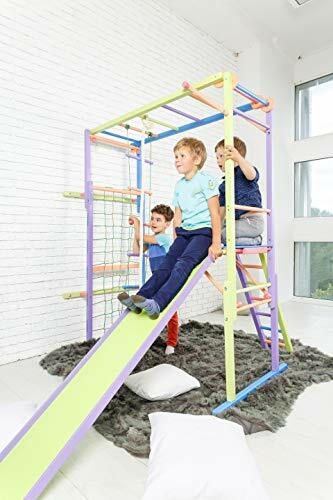 Buy EZPlay Koala Adventure Wooden Climbing Playset – 8 Play Features, 2 Way Adjustable Height, Foldable Construction (Kids Age 4-10) at Discounted Prices ✓ FREE DELIVERY possible on eligible purchases. Ages 4-10. 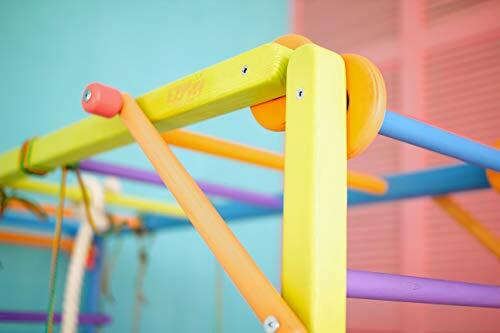 Jungle gym provides growing minds and bodies with quality physical exercise, active play or just silly fun with friends. Koala Adventure is the largest kids playset we currently offer to purchase. 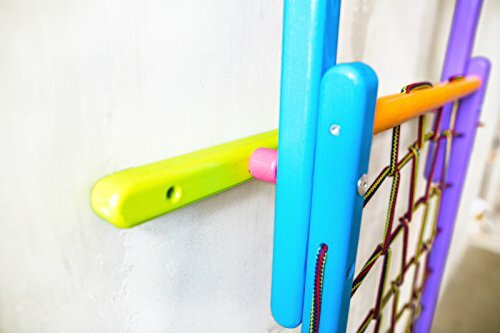 Once assembled it's securely mounted to the wall inside your house or apartment with 4 screws and provides stability for your children's climbing and play. Made out of sturdy, splinter-free Ash wood, there's nothing cheap about any part of the Koala Adventure. 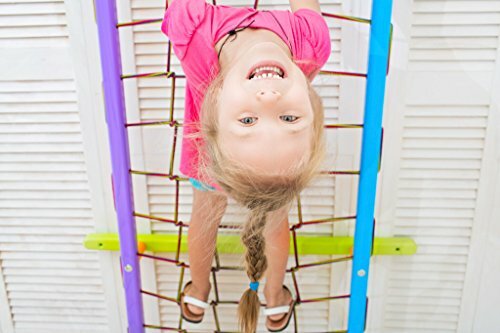 Watch your kids fall in love with the many play features like: Wooden and rope ladders, rope swing, monkey bars, slide, climbing rope and gymnastic ring. Whenever the kids are tired or you need some extra space in the room, just fold the Koala Adventure back together in minutes and store it for a small amount of space inside your home. 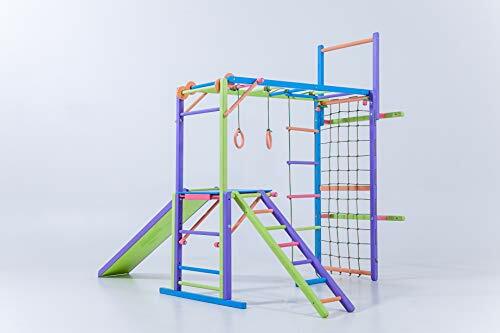 Your children and their friends will cherish the time spent on this wooden playset as they build confidence in themselves through exercise and play. It will keep the kids safe from rain, heat, snow and germs throughout the year.